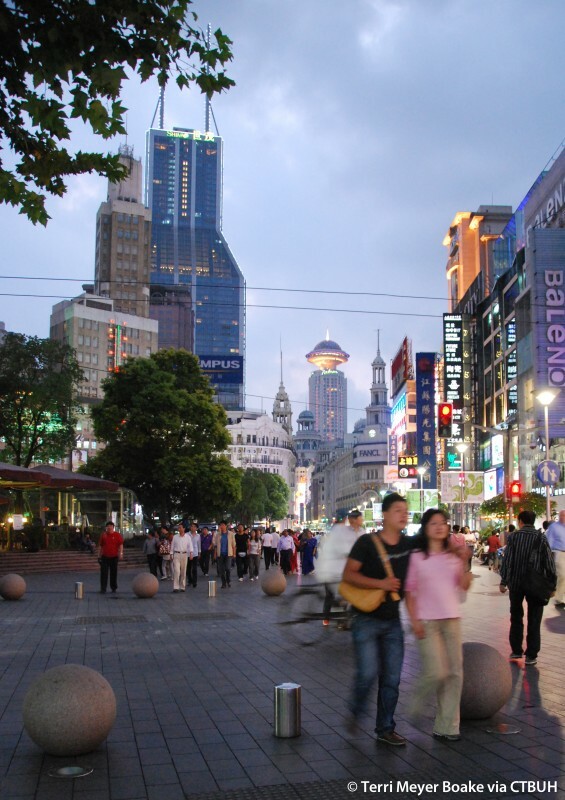 Located in Shanghai’s Huangpu District, Shimao International Plaza is at the center of the city’s traditional urban core. 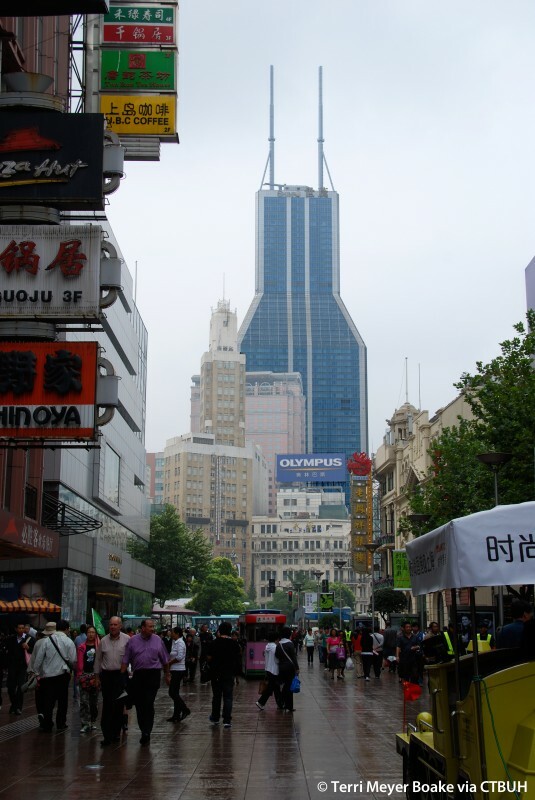 The building lies on Nanjing Road, the largest commercial street in China with approximately 1.5 million daily users, and is situated next to the People’s Square, the symbolic heart of urban Shanghai. The nearby People’s Garden offers another attractive destination that draws people to the area. 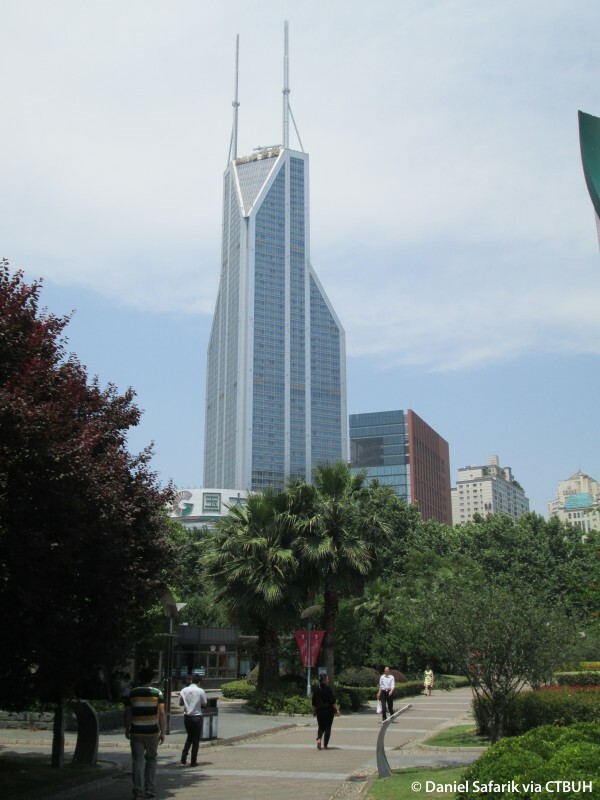 With its central location, Shimao International Plaza is a commanding presence in the city. 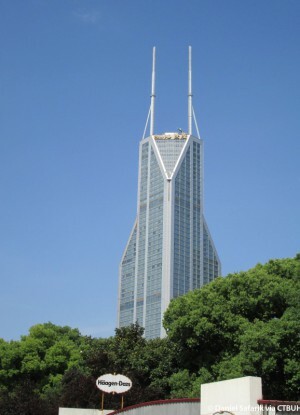 Originally designed in 1995, the building is predecessor to the current wave of supertall skyscraper construction in China. 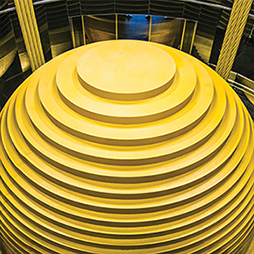 The building—unique for its repeated triangular geometry—consists of three distinct, interconnected architectural units: the main tower, a retail podium, and an open plaza. 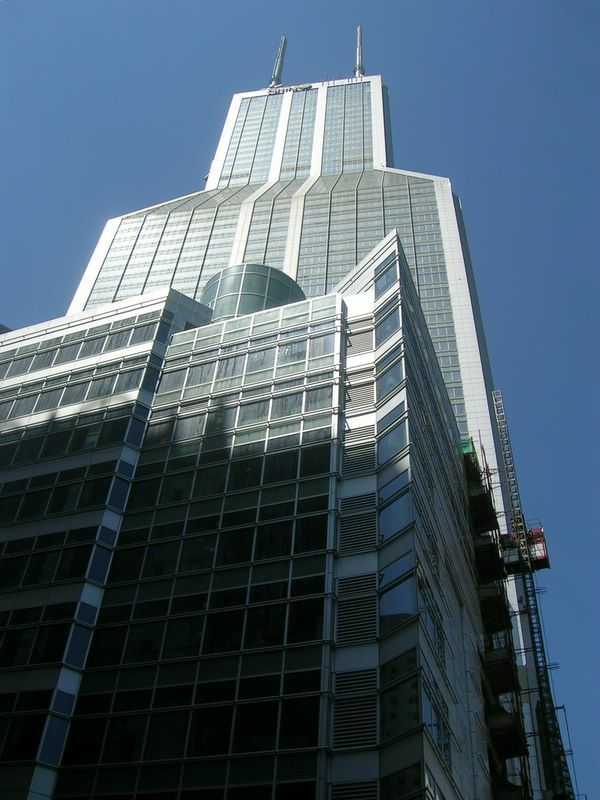 The northwestern and southwestern façades meet at an orthogonal point, while the eastern façade rises monolithically, with the rest of the tower hidden behind it. 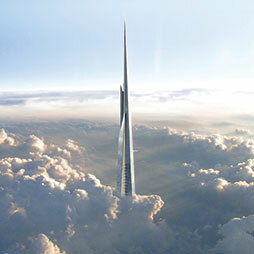 The building sets back and narrows as it rises, adding to its perceived height. 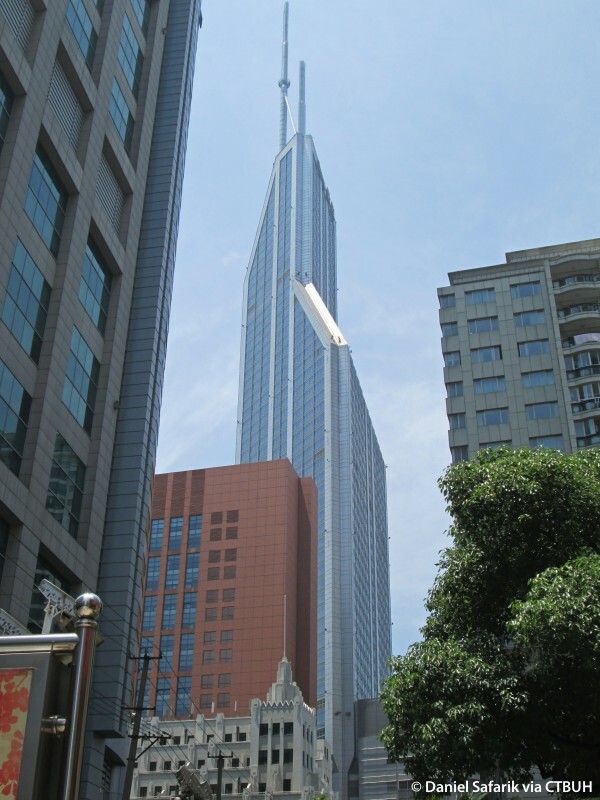 The angles that are created through these setbacks augment the triangular design of the building. This pattern appears throughout the design: the two spires rising from the top of the building are held up by angular supports that share a triangular relationship with the roof, and a design accent beneath the spires is appropriately wedge-shaped. Though clad in glass, light-colored accents showcase the building’s form on all sides. 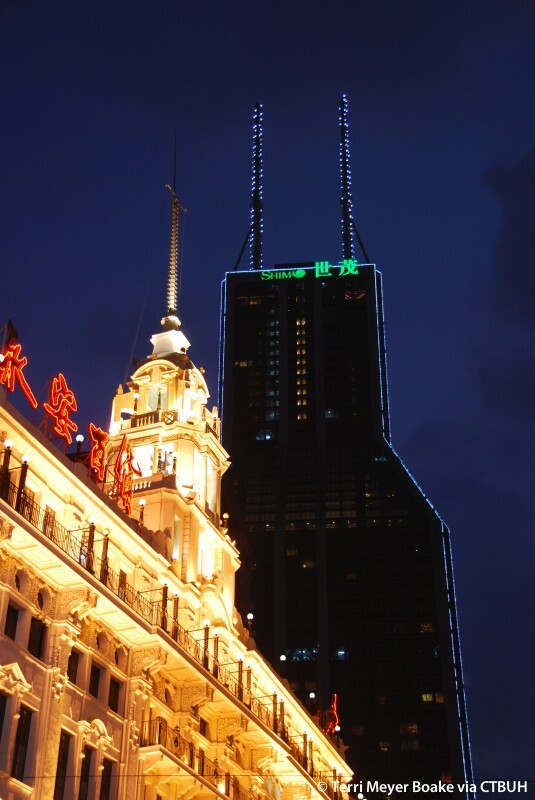 At night, LED lights illuminate the tower’s corners and spires, which allow the building, and its unique presence, to be displayed prominently on the skyline. 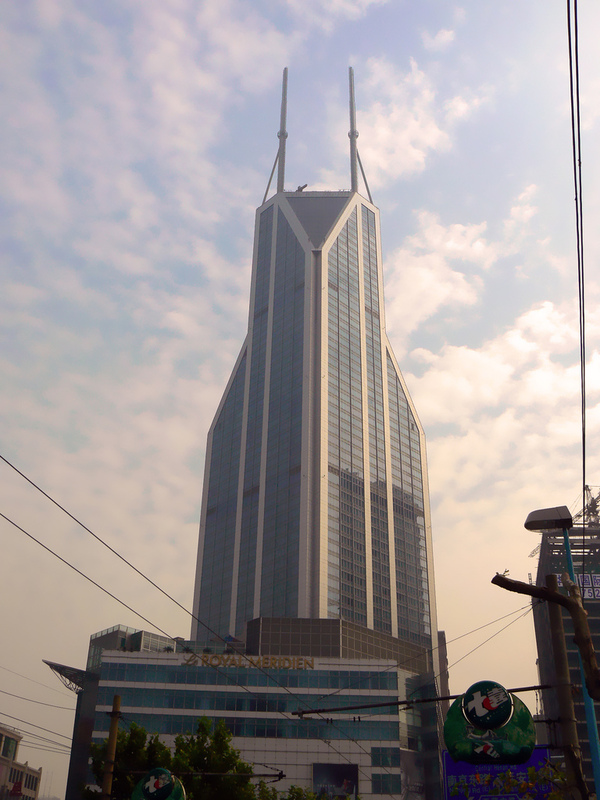 As a visually distinctive tower that heralded the recent Chinese skyscraper construction boom, Shimao International Plaza has earned its status as a Shanghai landmark.